She’s always wanted more than the textbook version of history. At Oakwood, her history teacher gives the class excerpts from Columbus’ diaries. Now she’s making a video dramatizing the explorer’s first contact with the native people of the Americas—thinking through both sides of this world-changing encounter. At Oakwood, our teachers can lead your student’s curiosity as far as it can go—because they’re all experts in their chosen fields. They teach what they love, and only what they love. And when students learn from educators who are teaching their passion, they can’t help catching the enthusiasm. And where will her Oakwood education take her? Wherever she chooses. 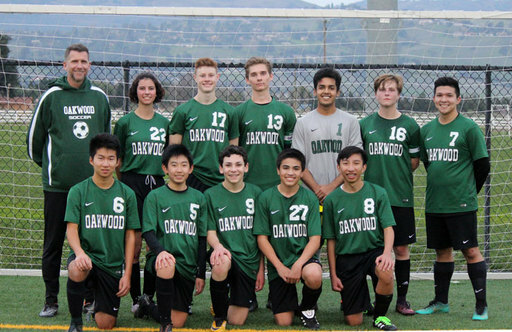 Oakwood High School provides Morgan Hill and neighboring communities a local, private, independent high school. 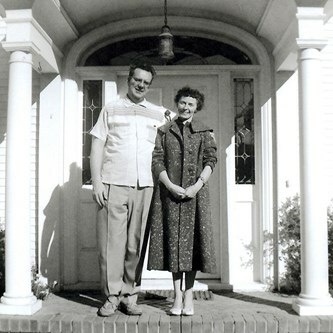 Growing from roots that run nearly fifty years deep, Oakwood is led by a family in its third generation of running successful private schools. Starting in ninth grade, our individualized, intentional college counseling process fully supports your student as she defines, pursues, and reaches her higher educational goals. It’s no wonder our students regularly score in the top percentiles on their college entrance exams, go on to attend some of the finest colleges and universities in the nation, and continue to learn and lead for a lifetime. We are Morgan Hill’s independent, non-sectarian, college-preparatory school for students in preschool through grade 12. Our diverse community, thriving on an expansive campus, provides a home for an extended family of learners. 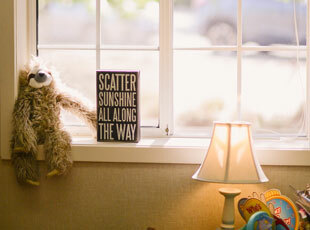 Here, we share our unwavering commitment to a more intentional education. 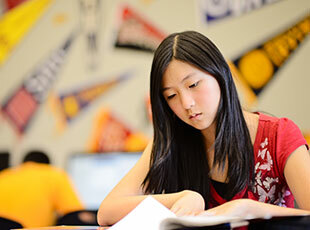 To learn more about our educational philosophy, download our Upper School Brochure. The best way for your family to meet our family is to tour our scenic Morgan Hill campus, meet our teachers and students, and observe our learning in action. Our family looks forward to meeting yours. Oakwood High School students traveled over Spring Break to the beautiful country of Spain. 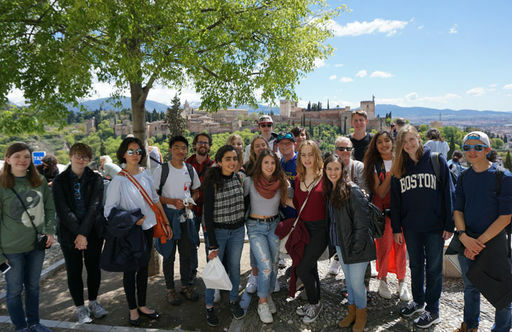 They toured Madrid, Toledo, Córdoba, Sevilla, and Granada, visiting many places of historical significance and learning about the heritage of the different regions. As they toured the country they were able to soak in Spain's natural beauty, practice their Spanish and enjoy traditional cuisine. The trip was a tremendous opportunity to learn about Spain, submerge themselves into the Spanish culture, and delve into life in this incredible country. The students came home very happy and full of stories of their adventures. Congratulations to Nikola for being named the Most Valuable Player at The Central Coast All Star game. 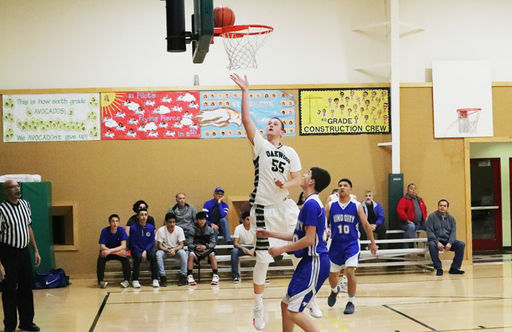 The game was played at Cabrillo College on March 17th, and it had many of the very best players from throughout the entire Monterey Bay Area. Nikola played a great game and represented Oakwood extremely well! Click "Read More" for details. 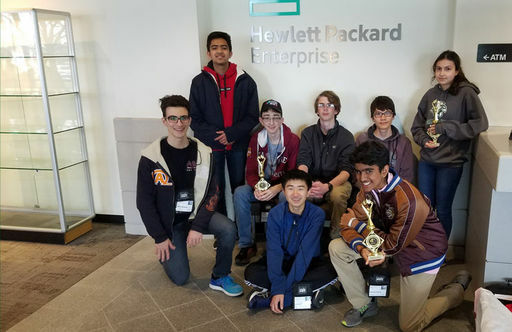 On Saturday, March 2nd, eight Oakwood High School students (comprising three teams) traveled to Roseville to compete in the annual CodeWars computer programming contest. For three hours, the teams competed against 180 students from all over northern California in attempting to solve a collection of 29 problems of varying difficulties. All three teams coded impressively, and thrived in this exciting and competitive environment. Special congratulations to the team of Shayan Daijavad, Kate Jackson, and Konark Vinod, who finished 4th in the Novice division. 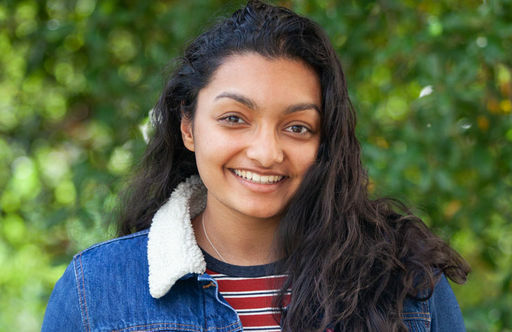 High School Senior Nikhita Gopisetty has been honored for her exemplary volunteer service with the President's Volunteer Service Award, granted by Prudential Financial, in partnership with the National Association of Secondary School Principals (NASSP). The award recognizes Americans of all ages who have volunteered significant amounts of their time to serve their communities and their country. Volunteer activities were judged on criteria including initiative, effort, impact and person growth. 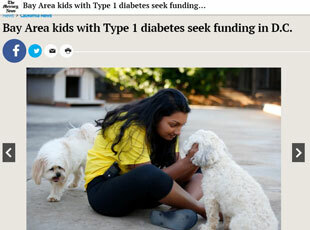 Nikhita has logged over a thousand hours of volunteering locally, nationally and internationally. Click "Read More" for details! 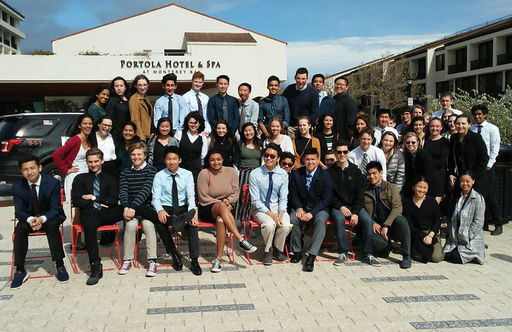 Monday, February 25th Junior and Senior Advisory classes journeyed to the Monterey Bay Conference Center to attend the Leon Panetta Student Lecture Series. This year's theme Checks and Balances – Will Our Democracy Survive? provided the topic of our lecture The Mueller Investigation, the Law and the Presidency. This annual event has become a highly anticipated tradition at Oakwood and one that delivers enduring memories for all involved. 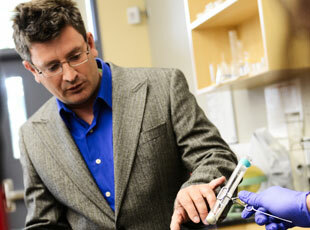 The experience serves as a catalyst for deep conversation and in turn generates new perspectives. Click "Read More" for details. 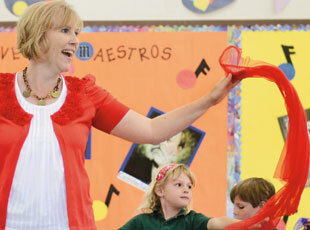 The Oakwood gym was filled with song and dance today during the Freedom Festival. Our Oakwood community enjoyed this school-wide celebration of patriotism. 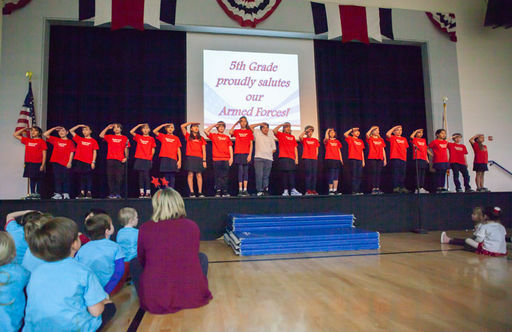 Students honored our country and our veterans with grade-level presentations, which included patriotic songs and videos produced by students. Veterans and members of the military had special VIP seating and were honored with a song sung especially for them by our 5th grade students, "American Heroes." 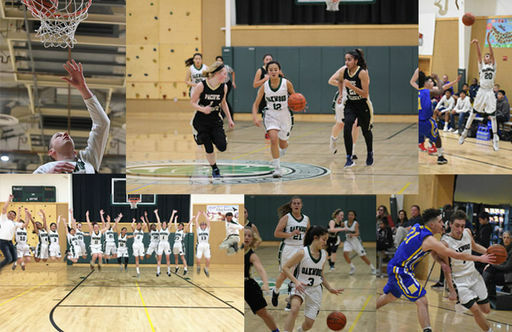 Congratulations to the Oakwood High School Girls' and Boys' Varsity Basketball teams, as they each captured their league championships and qualified for the CCS playoffs! Everyone on the teams played excellent basketball and contributed to these wins and championship. A huge thank you to all the faculty, families and students who came out in support! 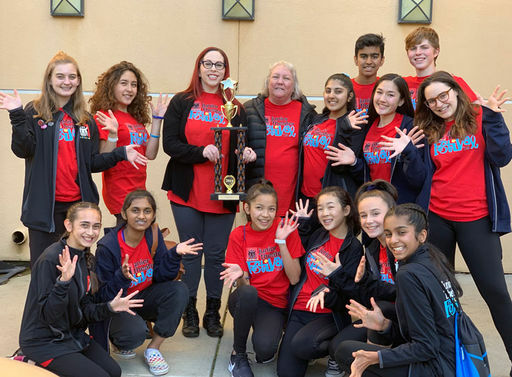 A group of Oakwood Middle and High School performing arts students participated in the Junior Theater Festival (JTF), February 8-10, 2019 in Sacramento, taking home a trophy for Excellence in Dance. Sophomore Konark Vinod and 8th Grader Tegan Leong were also selected as all-stars for a special performance, in which Konark had a terrific solo. Click "Read more" below to here details about their experience at JTF. 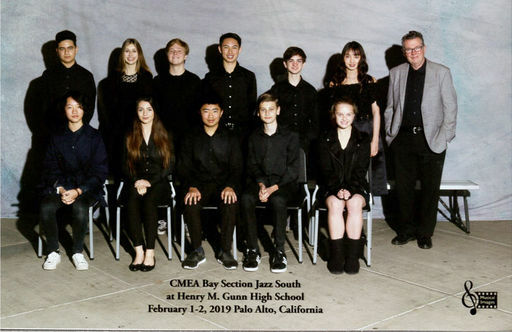 On Saturday, February 2nd Jazz Ensemble students from Oakwood participated in the California Music Educators Association Bay Section Jazz Festival at Gunn High School in Palo Alto. They were awarded Universal Superior, which is the highest rating achievable! This event is designed to evaluate a group's overall performance quality and to motivate group and individual achievement. This was the first time an instrumental group from Oakwood has participated in a California Music Educators Festival. We are proud of our Oakwood students for a remarkable first performance at this festival! Congratulations to the High School Varsity Boys Soccer team for being one of the CCS Scholastic Team Award Winners! This award is given to the five varsity teams in our division which have the highest collective GPA for the grading period. Other winners included: Crystal Springs, Harker School, Priory School and Sacred Heart Prep. Awards will be presented at the upcoming CCS Championships on February 22nd at 7:30 in the Stevens Stadium at Santa Clara University. We are proud of our students who balance academic and sports excellence! My daughter's going to Cal Poly. She got so many scholarships and grants that she's going to go there cheaper than San Jose State. It's amazing that she got in. It's amazing that she had such a stellar education. It's amazing that she got free money. And I attribute it to this school and the staff and the focus that they give our kids. My son has been a student at Oakwood since kindergarten. He is graduating from Oakwood HS next month. Oakwood is absolutely the best school in this area - maybe in the whole county. It has been worth every penny. I can't say enough good things about the school, staff, faculty, facility, owners. 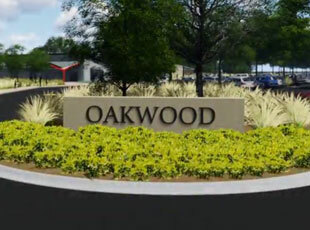 Oakwood is exceptional in every way. Oakwood provides me with much more opportunity to participate than I would get at a larger school. It amazes me that I can be on the soccer team, the tennis team, Student Council, Speech and Debate, Model UN, a service club and in a play all in the same year. The teachers are so dedicated at a personal level that you will not find anywhere. That is so important, because going into college admissions you need those references, and these teachers know these kids. Visit our College & University Acceptances webpage for a more complete list.